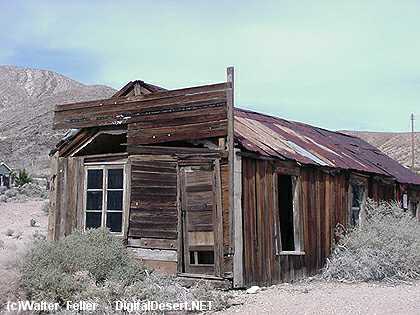 Around 1870 gold, silver, and lead deposits were again discovered in the Coso Range, resulting in formation of the New Coso Mining District circa 1874. 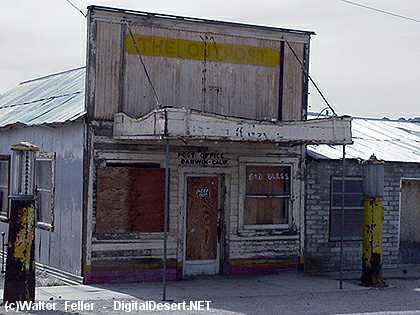 Darwin was the main commercial center, and the Defiance the principal mine of the district. Other producers were the Argus-Sterling, Christmas Gift, Lucky Jim, Custer, Independence, Keystone, Thompson, and Wonder. During the period 1870 to 1877 three smelters were erected and water was piped in from the Coso Mountains. By the end of 1875 the town boasted two smelters, twenty working mines, 200 frame houses, seventy-eight business establishments, and a population of 700. In the late 1870s, as was happening in other Inyo County camps, Darwin began to falter in production. The Defiance furnace was shut down in August 1876; all it took to completely depopulate the town were strikes in Bodie and Mammoth City around 1878, and the remaining miners took off for these promising new frontiers. 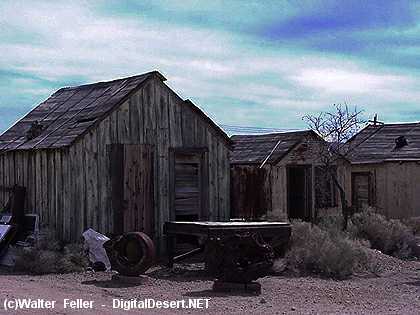 Darwin's rebirth also occurred during the revival of industry in southern Inyo County around 1906. Earlier left on the dumps or not mined because it was considered worthless, copper was now a valuable metal and copper mining was showing unprecedented profits. In 1907 Senator Tasker L. Oddie of Nevada bought nine claims in the Darwin area, while Nixon and Wingfield of Goldfield Consolidated fame also took over some property there. 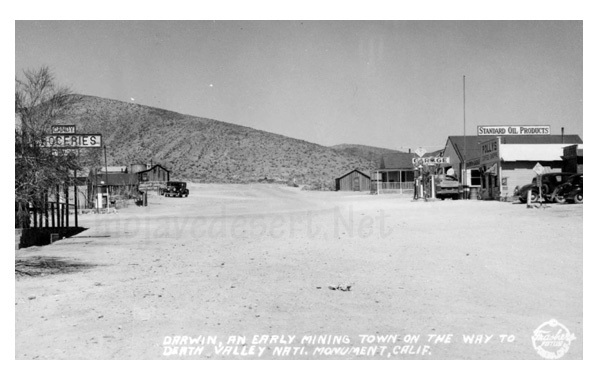 That Darwin had caught the fancy of miners again is evidenced by the statement of one Greenwater miner who said that Darwin's showing of copper was even more promising than that of the famous bonanza town in which he currently lived. 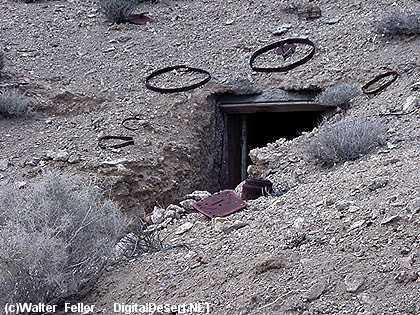 Also by 1907 the Lucky Jim Mine was shipping lead-silver ore to Salt Lake smelters. In June 1919 the Darwin District, especially the Lucky Jim and Christmas Gift mines, was still going strong, given impetus by an advance in the price of silver. It was showing up so well, in fact, that in 1920 the stock of the Lucky Jim was placed on the New York Stock Exchange. By 1927 the Darwin District's future seemed assured, for the area was found to contain ores of nearly all the metallic minerals: silver, lead, gold, tungsten, and copper. Production for the area from 1870 to October 1938 reached approximately $3 to $5 million, some estimates being as high as $7 million by 1945. In that year the Anaconda Copper Mining Company purchased the principal mines and took over operations there. Darwin became the chief source of lead in California, producing two-thirds of all that commodity used in the state. The total value of all lead, silver, and zinc produced has been put at $15 million.